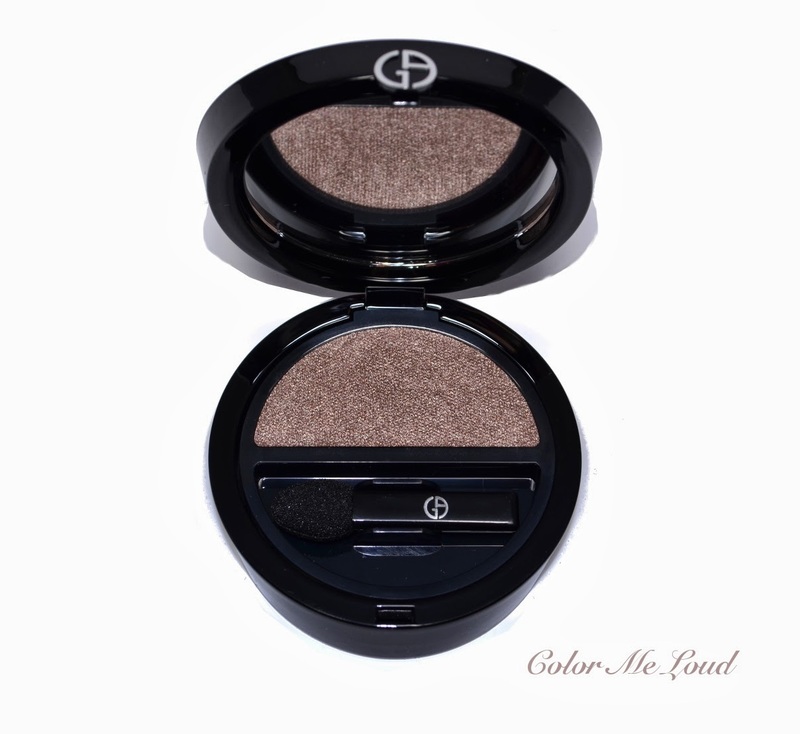 If you had seen my last post, you already know that I ran into Giorgio Armani's Macro-Color Solo Eyeshadows when i was least expecting them and swatched all the shades at the counter for my and your reference. I came back home with #9 Tadzio to play with and get to know the formula better. Today I would like to share my thoughts about Tadzio for you. From the new range, Tadzio particularly caught my attention since it looked like one of those natural shade which are universally flattering. Tadzio is not very shimmery nor it is flat. It is a brown but not very warm. On the swatch you can see the fine silvery shimmer, which is not over the top but very pretty. Tadzio is also not very light, which makes it useable for deeper skin tones as well. 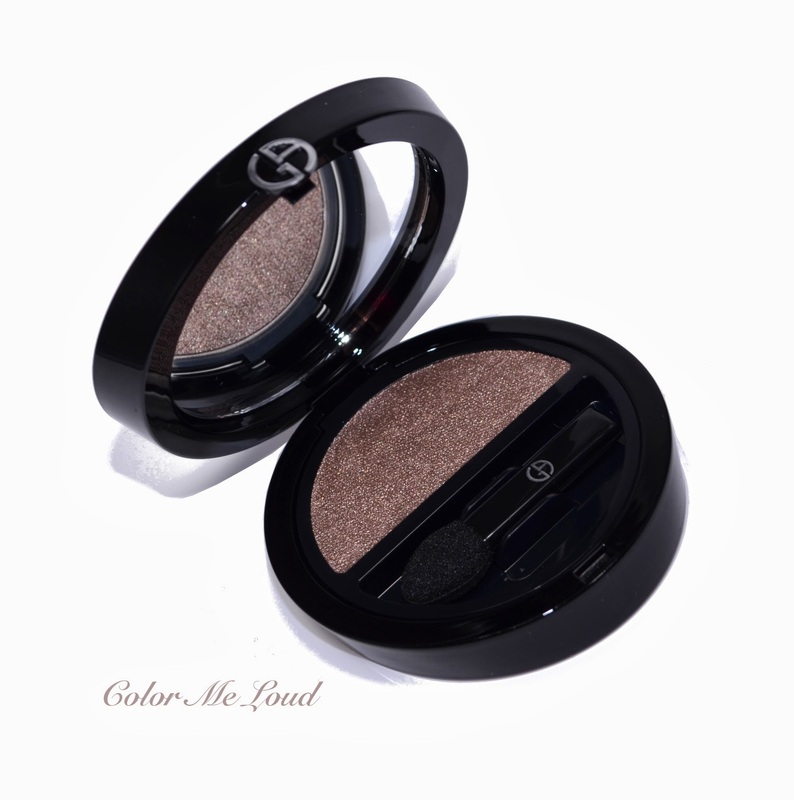 The compact of Macro-Color Eyeshadow range is similar to Eyes To Kill Palettes, but smaller. 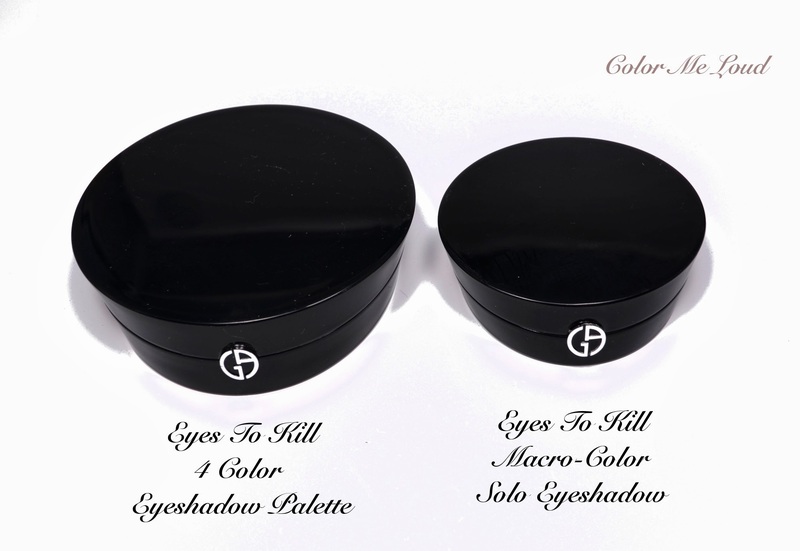 You can see how they compare at the photo below, Another difference is that Eyes To Kill Palette compacts have a magnetic closure but Macro-Eyeshadow compacts are mechanical. I pulled out some similar shades from my stash. I did this while room was a little dark so some of the shades turned out to be quiet different. 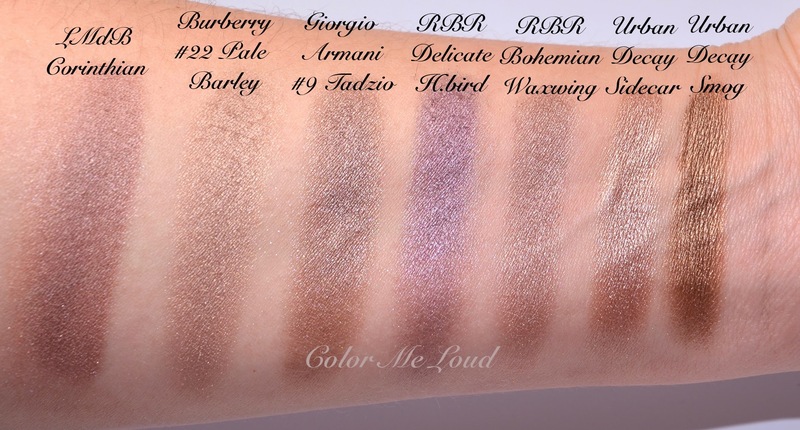 Le Metier de Beaute's Corinthian has more red, Burberry Pale Barley is lighter and less shimmery, Rouge Bunny Rouge Delicate Hummingbird is more purple, Bohemian Waxwing is close but lighter and less shimmery. 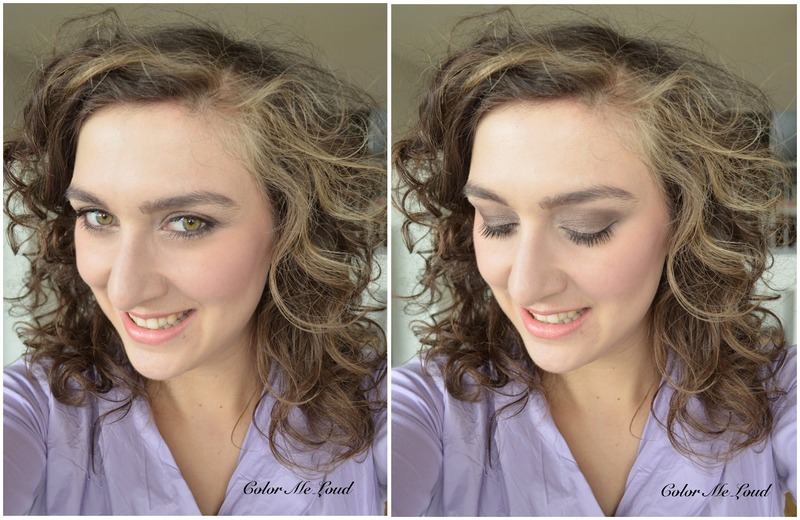 Urban Decay Sidecar is close but more frosty, Urban Decay Smog is warmer and more gold. All in all no dupes for Tadzio in my collection that I could find. If you would like other comparisons, please leave a comment below and I will update this post. 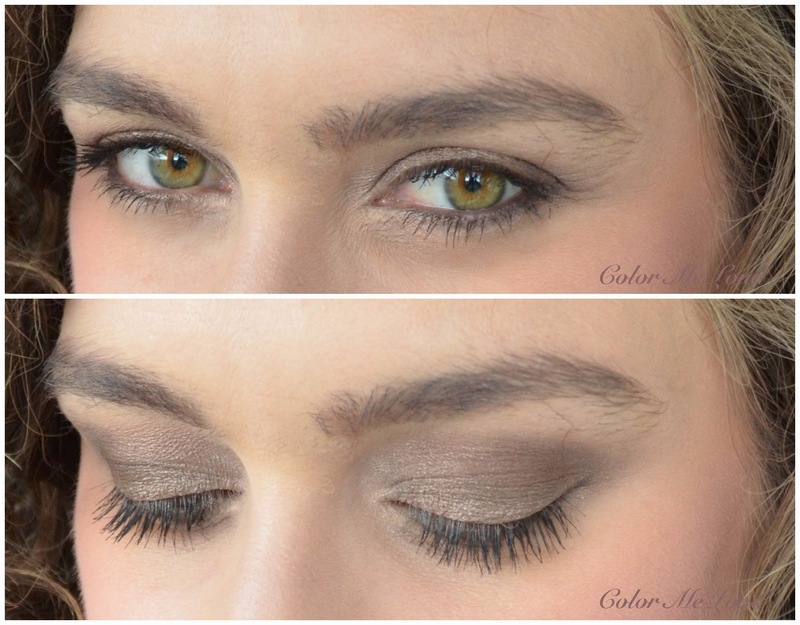 Tadzio applies like a dream, it blends easily and shows up nicely on my lids. It gives a natural look, yet not boring. Below I haven't even used a liner along upper lash line. 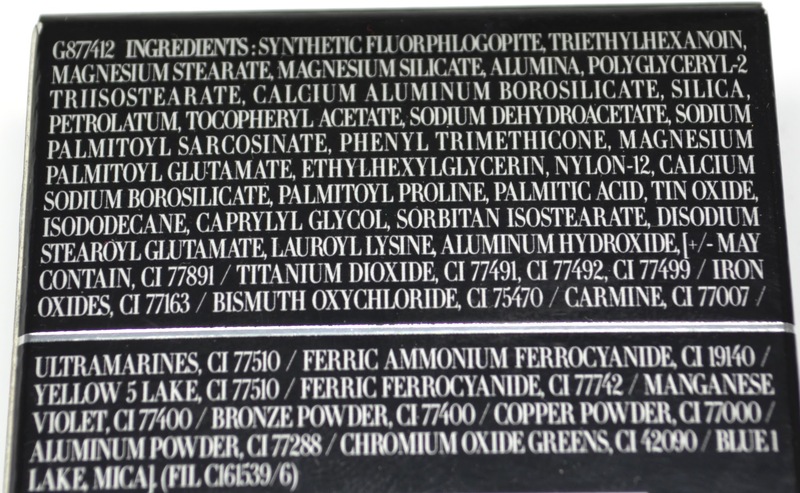 I would like to also include the ingredients list for your convenience. Will you be checking Tadzio out? Ok, I really need this one too. I have lmdb's Corinthain but like you said, it's more red. This kind of shade is something I adore for everyday looks, it's os easy and goes with almost anything. I don't want to know the price of this one tho, lol! I updated the post with the price information. Again it is a little smaller and a little more expensive than some other lines. But with this pretty shade, my eyes went blind, just gave them my wallet lol. Gorgeous color and beautiful on you! We've had a GA counter since last fall but I haven't been yet... afraid I'll spend too much! Oh this is gorgeous! Definitely the type of shade I'd reach for as well! 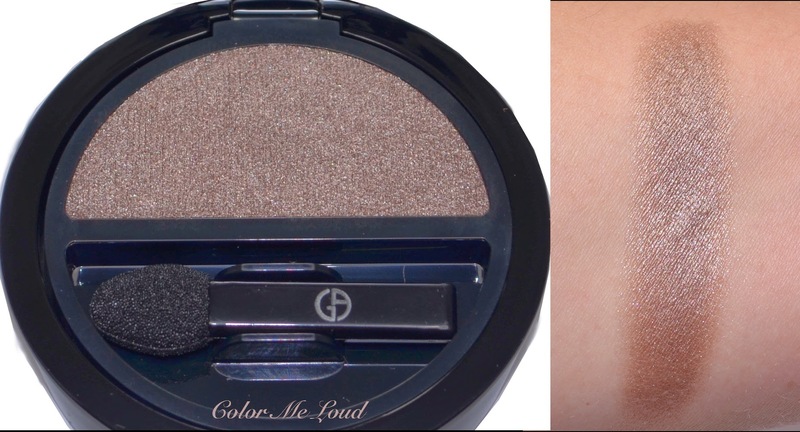 I have no idea if it's available here yet, but when it is I'll definitely swatch THIS! I knew you would like this one, that is your type of shade, and mine and hers, and everyones too but I know you like naturals and I am sure it will look stunning on you. very good thing if you can really manage that. I tried it myself and failed miserably lol. It looks beautiful on you! Great to hear how well it applies. This looks so pretty! Based on your helpful comparisons, though, I don't think I need it. I'll have to go with one of the other amazing shades in the range.